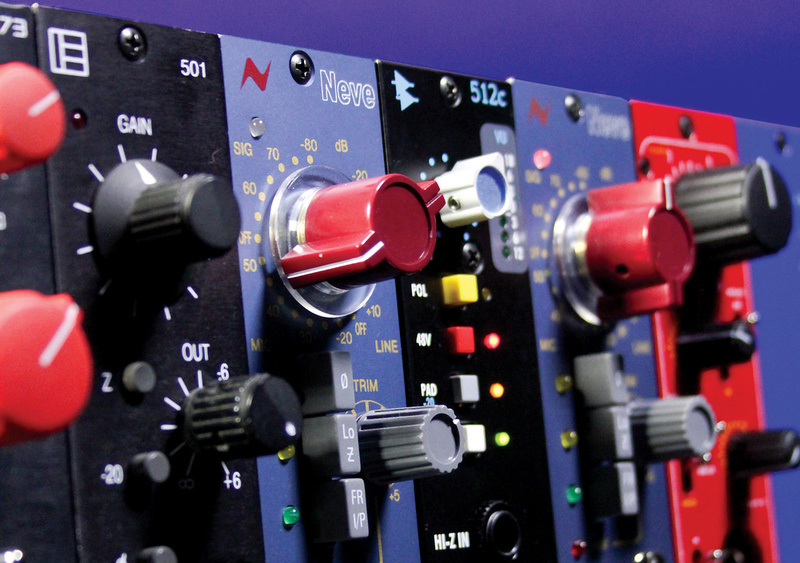 When we compared eight mic preamps with very different designs and price tags, we found it hard to tell them apart. Could SOS readers do better? A mic preamp is a device that amplifies the tiny fluctuating voltage generated by a microphone, to a level where it can be processed by other audio equipment such as A-D converters. To some people, technological advances in the last 30 years mean that even the preamps in budget mixers now perform this job perfectly adequately. Others feel that the choice of preamp is a decision which can have a huge impact on the quality of the resulting recording, and are willing to allocate a large part of their budget to this stage in the chain. Who's right? If you spend thousands on 'boutique' hardware to fulfill this role, will you notice a significant improvement? In October's SOS we set up a test to see exactly how much difference the choice of preamp made in one particular real-world situation. Because it's not possible to record the same performance through the same set of microphones via many different preamps simultaneously, the ever-present risk with this sort of comparison is that variations in the performance from take to take overshadow any differences between the preamps. For example, if you choose to use vocals as a source, even a small variation in the distance between the singer and the microphone will change the vocal sound significantly. However, in our test we were able to eliminate this variable almost entirely thanks to Yamaha's latest generation of player pianos. Jonathan Dodd of Realpiano (www.realpiano.co.uk) was kind enough to let us use his Disklavier: a grand piano that can play itself, taking a MIDI file as its source. The Disklavier's ability to replicate the same performance time after time is uncanny, and almost eliminates performance variability as a source of uncertainty when comparing recordings. We recorded the same piece of music 24 times, using three different stereo mic arrays (a pair of Brauner cardioid valve capacitor mics, a pair of Sennheiser MKH20 omni small-diaphragm capacitor mics, and a Royer SF12 stereo ribbon mic) and eight different mic preamps. These were then level-matched and renamed so listeners would not know which preamp they were listening to. We wanted to know how much variation there would be across eight very different preamp designs, and whether the expensive preamps would reliably outshine their cheaper cousins. The most striking aspect of the test for Hugh Robjohns and me was the way in which our expectations coloured our opinions: when we listened back to each take in Jonathan's studio, in the knowledge that we had just recorded a cheap and rather ugly ART unit or a £2000 handbuilt valve preamp, we thought we could hear clear differences between them. But when the files were level-matched and made anonymous, those differences suddenly seemed far smaller, to the point where neither of us felt we could reliably tell them apart in a blind test. We made the files available on the web site (you can download them from /sos/oct12/articles/preampsmedia.htm), and many SOS readers and forum users posted detailed comments. Hugh collated these into a spreadsheet, allocating points to each preamp on the basis of these subjective opinions. Only then did we consult the key, to discover which were the winners and losers — and you can see which is which by consulting the table in this article. The results, though far from scientific, proved most surprising! The ART Pro MPA II: when heard without preconceptions about its price and appearance, this affordable valve preamp proved very popular. The biggest shock of all for us was the performance of the two budget preamps we'd included in our test: a rackmounting ART Pro MPA II stereo valve unit, and a Mackie 1604 VLZ Pro mixer. When we recorded the files, our impression was that the Mackie had stood up fairly well to the more expensive preamps, but none of us had liked the ART unit. Were we too quick to judge it on its price, its annoying blue LEDs and its somewhat tacky appearance? Readers' opinions would certainly suggest so. With both the Brauners and the Sennheisers, more respondents picked the Pro MPA II as their favourite than any other preamp, and it achieved very respectable scores with the Royer SF12 too. A little way behind it, just leading the field on the Brauners and in third place with the Sennheisers, came... the Mackie mixer! Even allowing for the vagueness inherent in trying to quantify subjective opinions, it's clear that with sensitive modern capacitor mics, affordable preamp designs are anything but overshadowed by names such as Neve, API or SSL. The Royer ribbon mic should have been the most challenging test for the preamps, because its relatively low output demanded higher preamp gain; in theory, it should have been the one most likely to expose any weaknesses in the budget designs. Whether the collected opinions of SOS readers bear this out is debatable. The Mackie mixer certainly did less well here, but it was nevertheless marginally preferred to the API 3124+ and the Maselec MMA-4XR, while the ART sat comfortably in mid-table. Honours were shared pretty evenly between the Prism Orpheus, SSL XLogic VHD Pre, and the AMS Neve 1073LB. It should be emphasised again that these scores don't represent any sort of scientific assessment, and indeed, it is fascinating to read the wildly differing views allocated to the same preamp by different people. It was quite common to find a preamp rated first choice by some and eighth by others, or to be described simultaneously as having "classy vintage sound” and being "strident and grainy”! Clearly, different people have different expectations and preferences, and 'hear' different qualities — whether real or imagined, who can say? Above all, though, it must be pointed out that a good number of readers admitted to being unable to hear any significant difference between the preamps, and even those who heard differences admitted they were very subtle. If there's one firm conclusion that could be drawn from this exercise, it's not that the ART Pro MPA II is a revolutionary world-beating design that knocks pricier rivals into a cocked hat. It's that, when used within their intended operating ranges, to record solo piano, the contribution of the preamp is a lot smaller than that of the microphone, its placement, the room, the instrument, and — above all — the music. No-one is claiming that all preamps sound the same, and it's certainly the case that there are ergonomic differences between them. (Having done these tests, I'd have no complaints about the sound quality if I were using a Mackie mixer to record a piano, but I'd get pretty fed up with trying to match channel gains using its tiny trimpots.) It's likely that the differences between preamps will also become more apparent when they are deliberately 'pushed' into saturation, as some engineers like to do. We hope, though, that this test will have done something to restore a sense of perspective. Preamps are not the be-all and end-all of recording, and contrary to the advice that is sometimes dished out on Internet forums, those on a limited budget would often do better to spend their money on microphones or acoustic treatment, and to experiment with mic positioning, to achieve the sound they seek, than on expensive preamps. Don't be bullied into thinking that you can't make good recordings on affordable equipment. You can. A ART Pro MPA II 7.5 5 Smooth tubey top end, neutral and rich, especially roasty, more warmth and body. B AMS Neve 1073LB 3.4 1 Classy vintage sound, too strident in mid-range, veiled top end, rich mids and lows, brittle, sounded grainy. C API 3124+ 2.875 0 Vague, dreamy, a touch boxy, slightly harsh mid-range, disliked, clean but smooth, strident. D Mackie VLZ Pro 6.8 2 Not much character, big bottom end. E SSL XLogic VHD Pre 6.45 4 Clean, accurate, neutral, more transparent, warm lows, more depth and evenness, brittle, less solid, little dull, most information and naturalness. F GP Electronics PML200E 4.2 1 Dark, slightly plasticky, close and intimate. G Maselec MMA-4XR 6.4 2 Clean, accurate and neutral, muffled top end, slightly distant, smooth character, sharper transients. H Prism Sound Orpheus 6 4 Sounds more stereo, zingy, closed in, veiled or murky, prominent low end, smooth character, more clarity and separation, smooth without sounding dull, disliked and would avoid. A GP Electronics PML200E 5 2 No particular sound, warm clean and detailed, on the dull side, probably transformerless. B ART Pro MPA II 7.4 3 Intimate, can hear further in, more depth and ambience, sounds more musical and dynamic (same preamp as Brauner A and Royer D? ), most information and naturalness. C Maselec MMA-4XR 3.5 1 Slightly hard mid-range, Mackie/ART?, slightly dull. D AMS Neve 1073LB 5 1 Neutral, natural, rich quality. E SSL XLogic VHD Pre 5.5 1 Intimate, great clarity, nothing objectionable. F Prism Sound Orpheus 7 1 Warm, close and detailed, best overall balance, slightly dull. G Mackie VLZ Pro 5.6 0 Warm and intimate, detailed, ART/Mackie?, sharp in the mids, probably transformerless. H API 3124+ 5.5 1 Rich mids, nice frequency balance, not as detailed, possibly Mackie? A Mackie VLZ Pro 3.8 0 Less detailed, slight edge, not as detailed, slightly dull, Neve/API? B Maselec MMA-4XR 3.5 0 Shrill top notes, slightly dull, bad! C Prism Sound Orpheus 6.75 2 Warmer bottom end, delicacy, nicest so far, very accurate and fast, deep and tight lows, neutral, Maselec? D SSL XLogic VHD Pre 6.57 3 Delicate, intimate, richness, more detail, least natural (same preamp as Brauner A and MKH B? ), delicate, precise, detailed and warm. E API 3124+ 3.75 1 Less detailed, slightly dull, nice colour, valve preamp? F GP Electronics PML200E 5.6 1 Detailed yet neutral, mid-range richness, slight edge, slightly dull. G AMS Neve 1073LB 6.4 3 Less detailed, slight edge, clearer, bright and clean with more dynamics, Neve/API? H ART Pro MPA II 5.6 2 Shrill and slightly harsh, bright clear and dynamic.